Fine Art Maya is proud to announce that renown Artist, Manss Aval, has been selected for a very honorable Artist feature by Arttour International Magazine. Manss Aval has been selected as one of the 60 top contemporary artists to be featured in Arttour Internationals Top 60 Masters of Contemporary Art 2015. This is truly a great honor and with it comes a tremendous amount of exposure for Manss Aval. 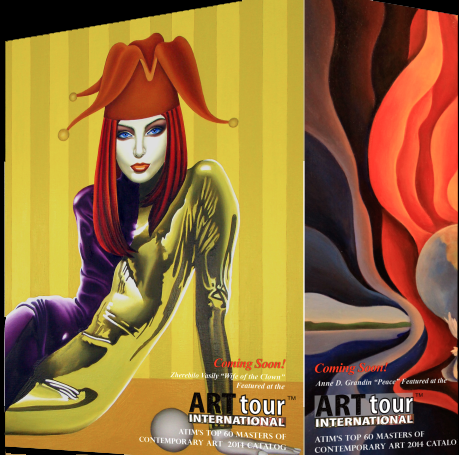 Arttour International Magazine will publish it’s catalog featuring the Top 60 Masters of Contemporary Art in both print and digital formats. The publication will be available all across the various digital platforms including: iTunes, Apple Newsstand, Blackberry Newsstand, and Kindle as well. These above mentioned digital platforms alone will reach over 2 million art lovers online. ATIM’s Top 60 Masters of Contemporary Art 2015 will also be formatted into a state of the art video production to share with the world. Manss Aval’s art will be displayed additionally throughout 2015 at all of the Arttour International Magazine events including all festivals and international fairs during the year. Of the selected 60 Artists, a 1st and 2nd place overall award will be given. The chosen artist’s work will then be featured on the front and back covers of the prestigious catalog. There are also an additional 4 awards to be given for the specific categories; Painting, Photography, Sculpture and Installation. These winners will be given the opportunity to participate in their own “Art 2 Heart” Interview which will be an online broadcast via the Arttour International Broadcasting Channel. The selected recipients will be offered full organizational support for their project beyond the publication date. Included in this honor is press announcements, a launch event and book presentation at Nardini Editore in Florence, broadcast nationally in Italy at the Toscana T.V. Show “Incontri Con l’Arte” and internationally to over 500,000 viewers of the ATIM Web T.V. Channel. Last but not least, the book and catalog will be distributed via wholesale and institutional offerings to bookstores and libraries across the world. Fine Art Maya is proud to bring this information you and we will be following the succession of this tremendous accomplishment closely in the upcoming year. To view Artwork by Manss Aval, follow the link or feel free to stop into the Fine Art Maya Art Gallery in San Diego to see his work in person.